Why did this error happen? The cause of this error is highlighted in the screenshot below: Under the heading “PayPal will use” you will find a menu which normally has the preferred payment method selected. In some cases however, the preferred method is not set. 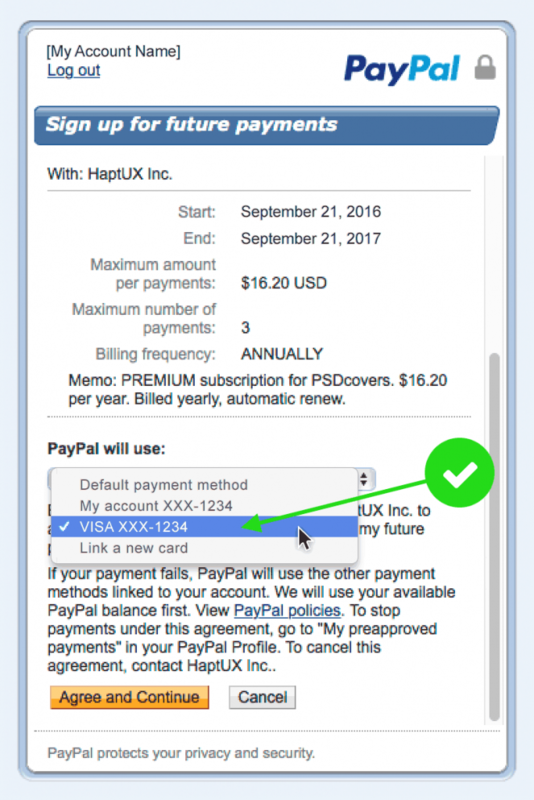 When the payment method is not set, PayPal will simply cancel the transaction when you click “Agree and Continue” and send an error email. 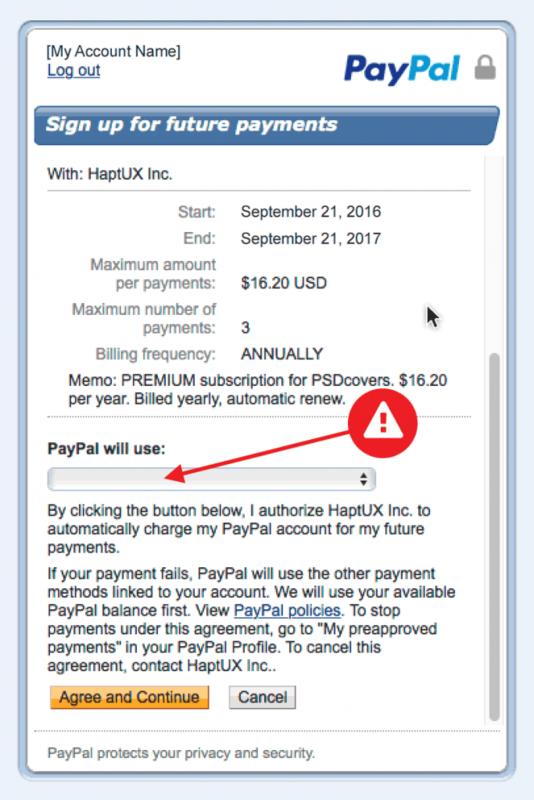 To avoid this error, click on the menu under the heading “PayPal will use” and set your preferred payment method to either your PayPal account or your Credit Card. Once your payment method is selected you may click “Agree and Continue” to complete the transaction successfully. 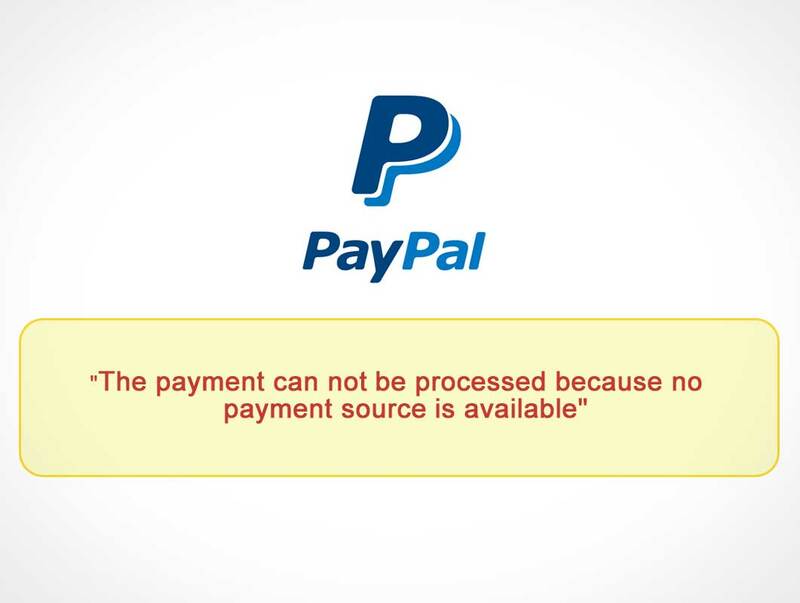 If the error persists, please log into your Paypal account and contact PayPal support.